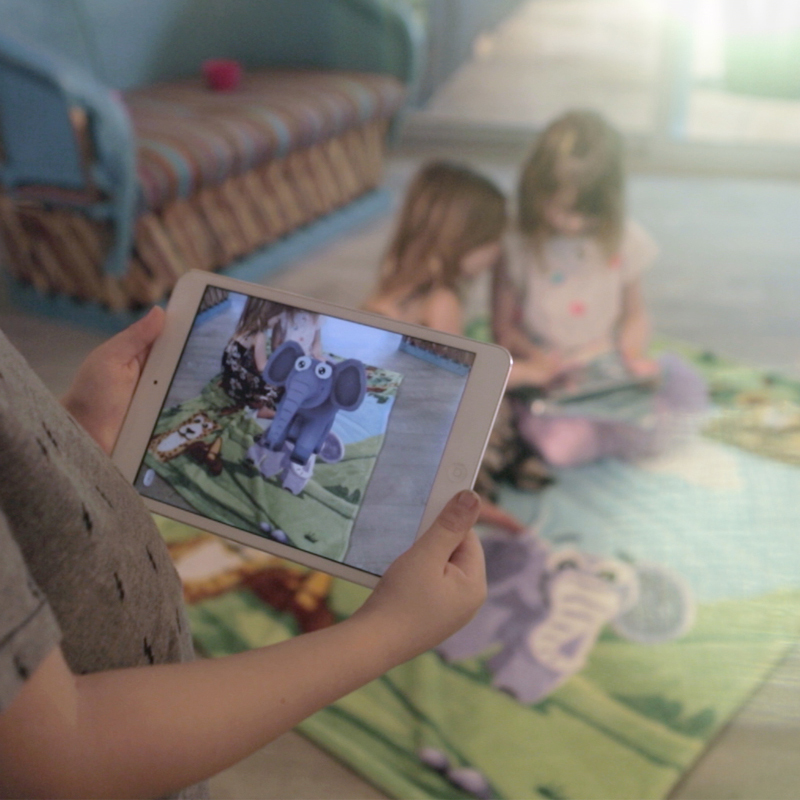 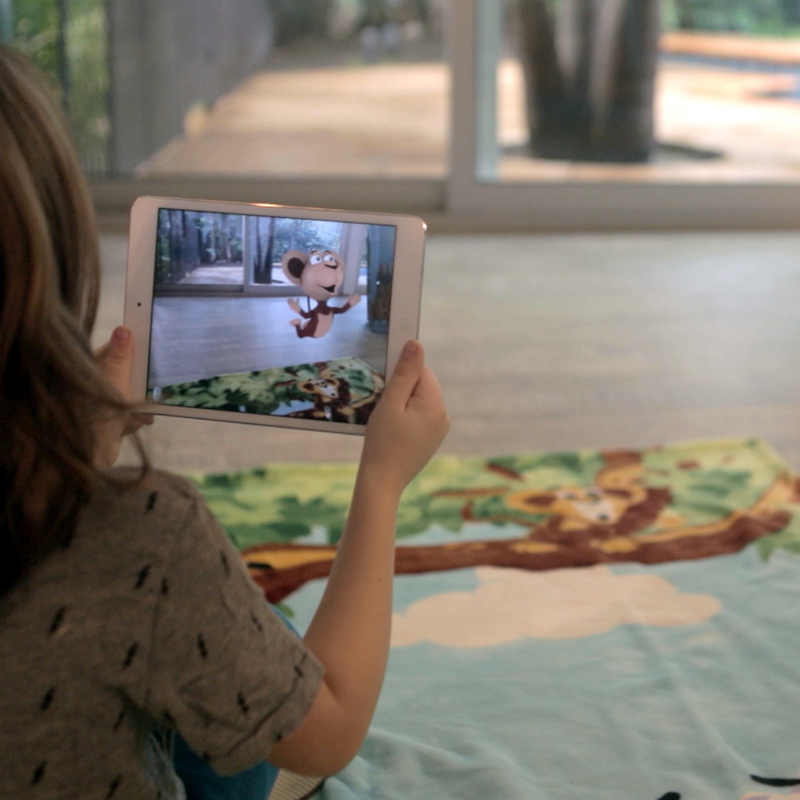 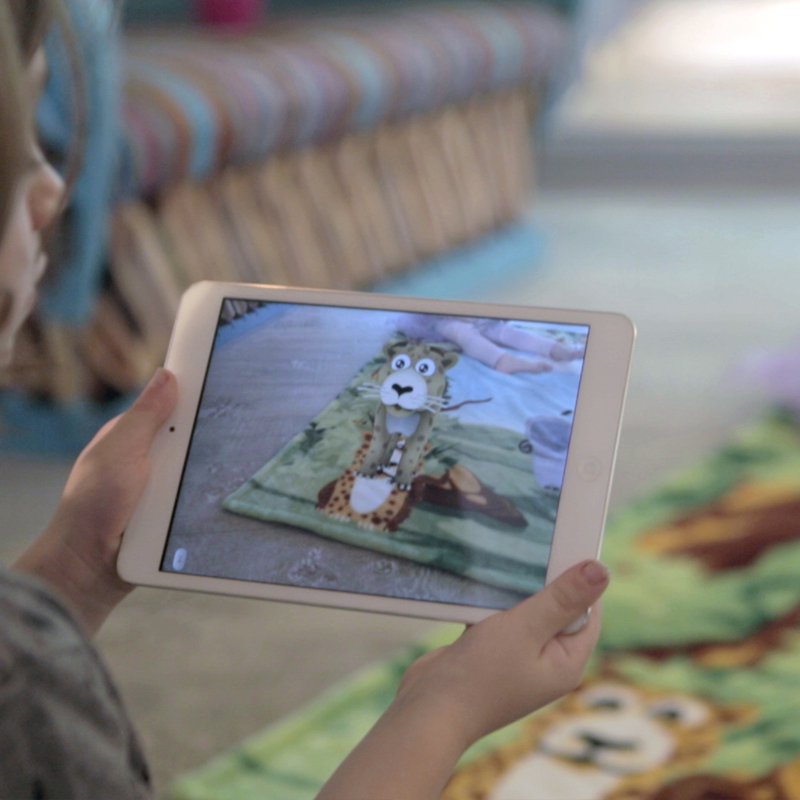 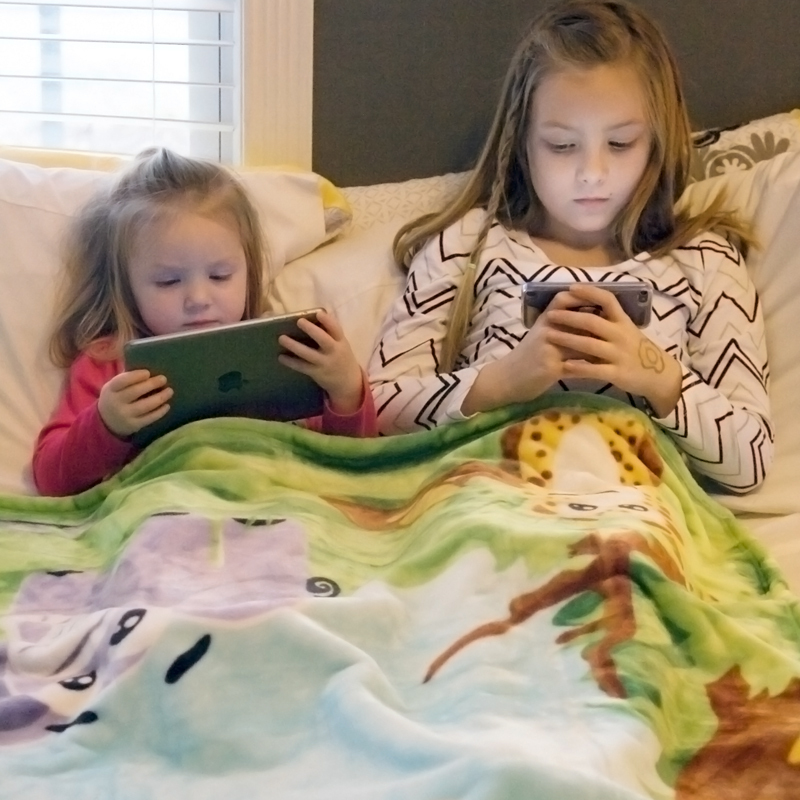 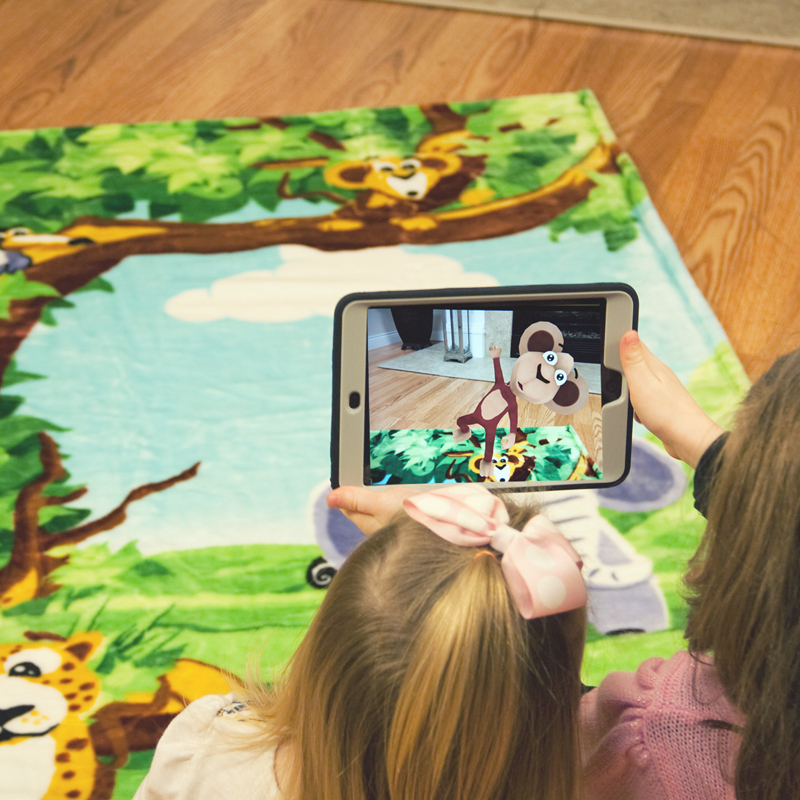 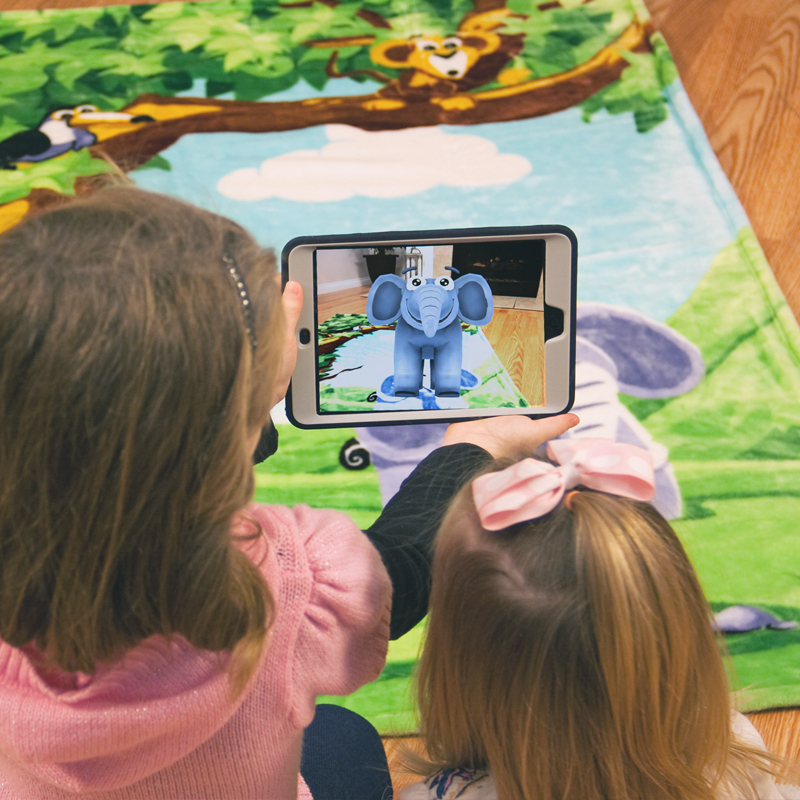 Our augmented reality blanket will multiply the fun-factor in any child’s room! 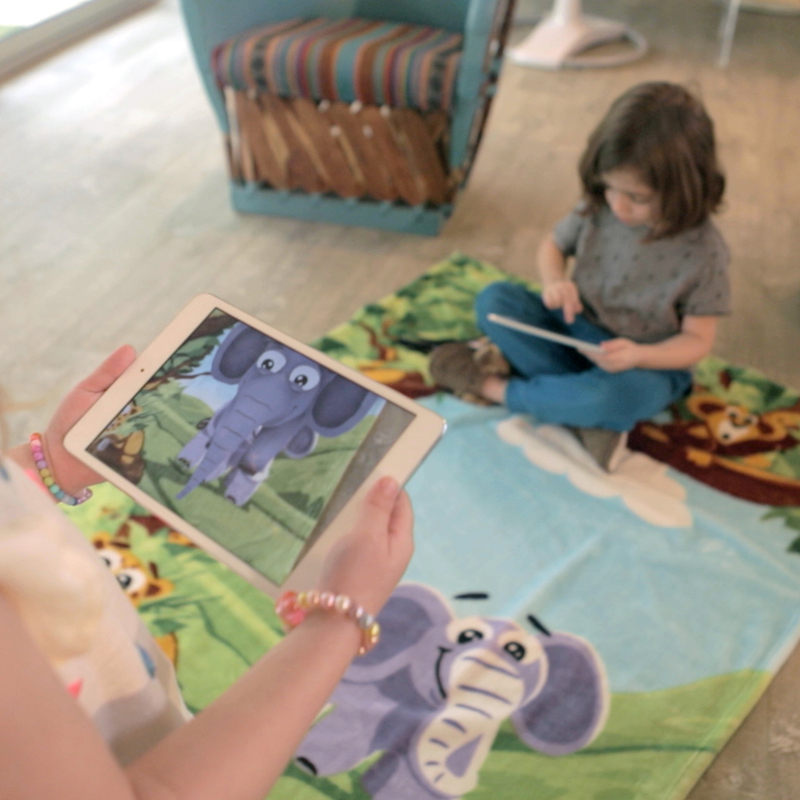 Each super-soft plush blanket is illustrated with a whimsical jungle scene. 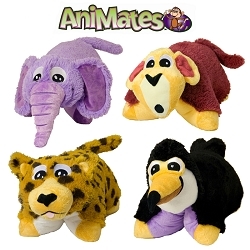 The four animals featured on the blanket - a monkey, toucan, elephant, and leopard - will keep your child warm, cozy and comfy. 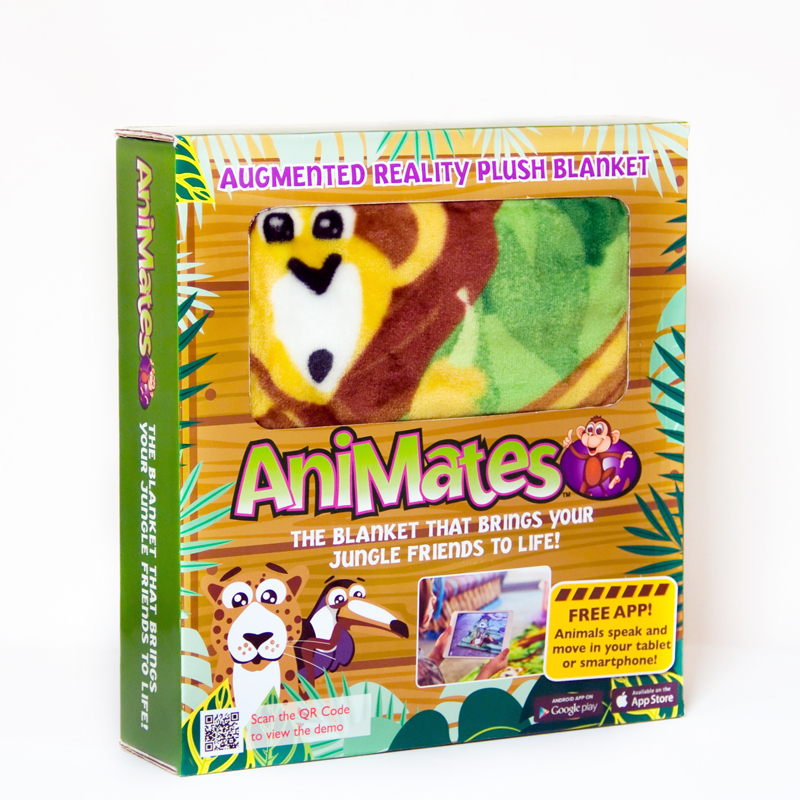 AniMates is more than a blanket - just download a free iOS or Android app to your favorite device and bring your jungle friends to life! 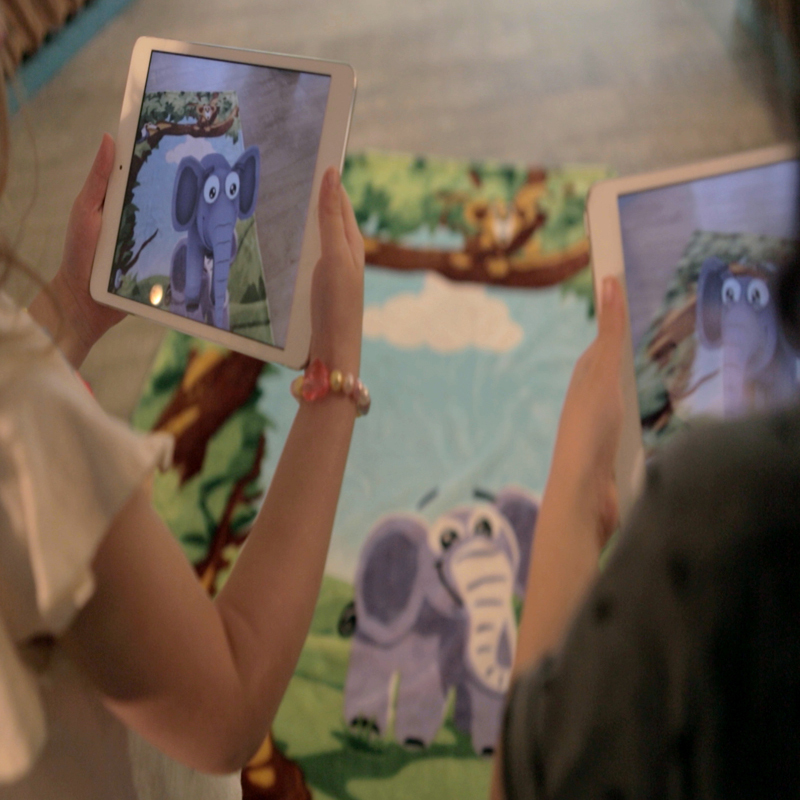 Simply point your device at any animal, watch it “AniMate” and tell a story using our innovative 4D AR technology. 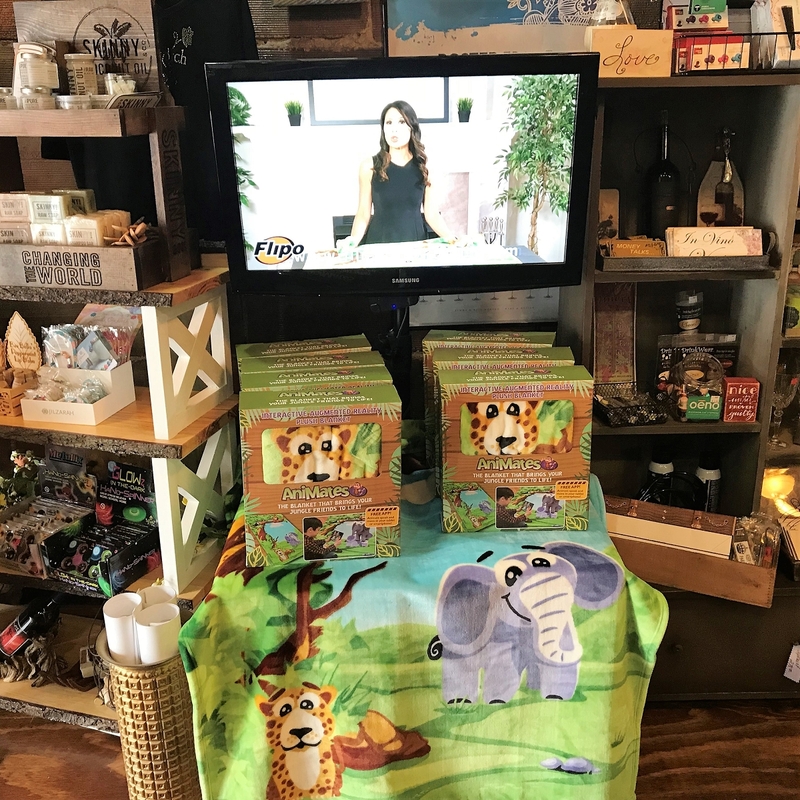 Each of the stories will teach your children in a fun and interactive way how these animals live in their natural environment.